Earlier this year I had the pleasure of photographing the stunning work of Rebecca Killen Ceramics. If you spend time with Rebecca and her work, it will come as no surprise to you that she has been nominated and shortlisted in this years 'Home' category of Irish Country Magazine's, Irish Made Awards. Rebecca is an inspirational person and maker. As a person she engages with you, asks intentional questions, is focused, well thought out, incredibly generous and ever humble. As a maker, she is effortless. A natural craftsperson, clearly gifted in her field. Putting yourself out there and bringing things to the public table can be tough and intimidating but also very rewarding. It's a process which involves embracing your own craft and ideas but also a willingness to extend a warm hand of friendship to the differing tastes, visions and opinions of others. I have so much respect for all the makers out there who embrace this on a daily basis. 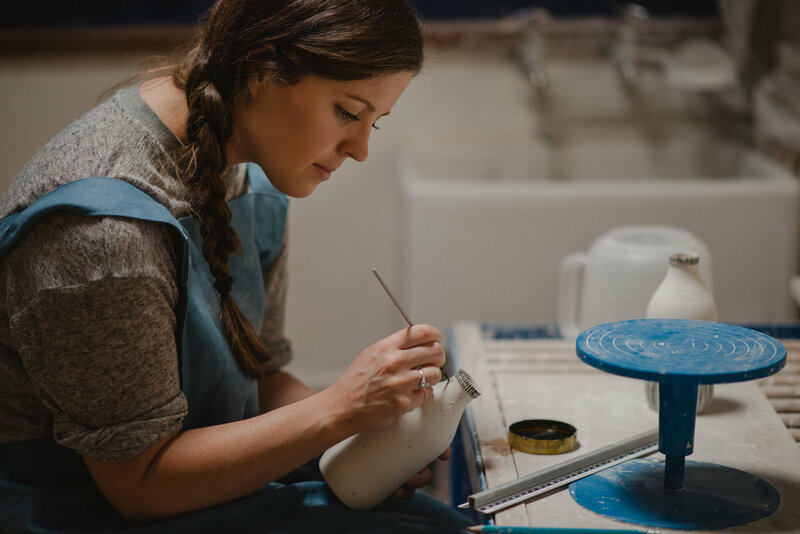 As I photographed Rebecca's process of bringing her pieces from liquid clay through to shelf-worthy, bone china products, I was fascinated by the time and attention that each and every piece requires, and is given. I have a newfound respect and appreciation for the term 'handmade'. As a friend and big fan of Rebecca's work, I would love to rally some votes for her in the Irish Made Awards. Her work is truly incredible. You can visit her store on Etsy and register a vote below!